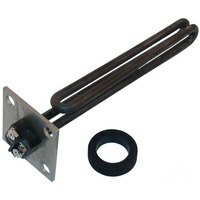 Our selection of sanitizing sink heater parts includes the products you need to keep your existing unit in top operating condition. 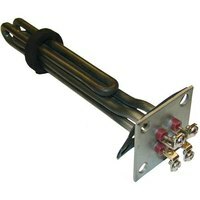 Choose from elements with bolt hole centers of various diameters to find the product that’s compatible with your heater. 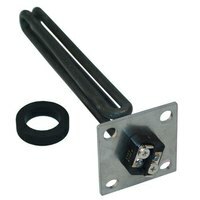 You can also find sanitizing sink heater accessories of different wattages to meet your specific needs. Also make sure to check out other great items from All Points, Chromalox, Duke, Hatco, Jackson and Power Soak. 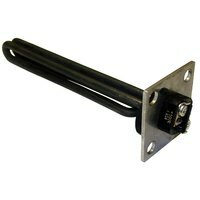 All Points 34-1839 Booster Element; 208V; 750/1625W; 8 3/8"
If you notice that the water coming from your heater unit isn’t getting hot enough, then it may be time to look for new sanitizing sink heater parts and accessories. These items are easy to install, which means you’ll get your sink’s heater up and running more quickly. Plus, by keeping your unit operating as it should, you can rest assured your dishes will be thoroughly sanitized. For other great items to have available in your dish room, be sure to check out our wet area floor mats, dish racks, and heavy-duty gloves. 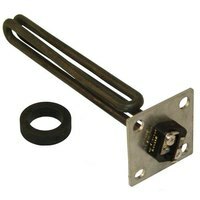 If you're wondering where to buy all points sanitizing sink heater parts and accessories, we have a large selection of all points sanitizing sink heater parts and accessories for sale at the lowest prices.